The overarching goal of my research program is to understand how hominins moved throughout their environment and what prompted corresponding shifts in their functional anatomy during the Pliocene and Pleistocene (roughly 5 million years ago to 11 thousand years ago). My research approach uses comparative anatomy and ecology of modern mammalian species as a reference to reconstruct the functional and adaptive implications of anatomical and behavioral changes in primate evolution, and centers on three primary areas of study: postcranial functional morphology, body size and proportions, and ecological models. My work examining the postcranial skeleton evaluates how morphology varies with behavior, function, and evolutionary relationships among species throughout human evolution. Specifically, I seek to understand how postcranial morphology informs locomotor capabilities. Two partial skeletons attributed to Australopithecus sediba (MH1 & MH2, first announced in 2010), from the site of Malapa, are particularly important because they are both remarkably complete (given their age of two million years) and possess a unique, mosaic morphology. An integrated biomechanical analysis of the Au. sediba lower limb remains, undertaken by myself and colleagues (DeSilva et al., 2013, The lower limb and mechanics of walking in Australopithecus sediba. Science, 340: 1232999), revealed that the species walked with a unique, hyperpronating gait, suggesting that there may have been several forms of bipedalism during early human evolutionary history. 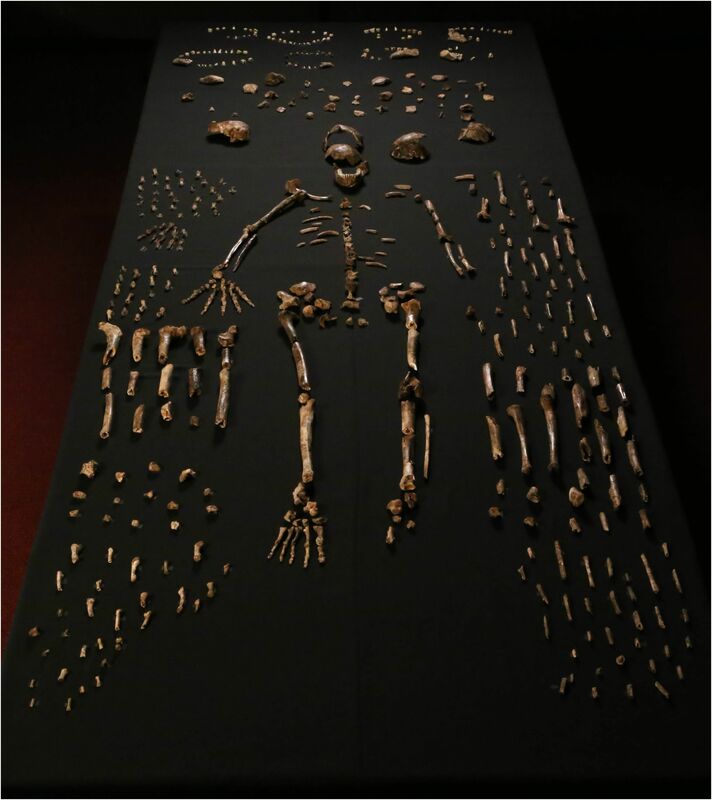 I am currently involved in the analysis of fossil hominin specimens attributed to Homo naledi, a new species discovered in the Dinaledi Chamber of the Rising Star cave system in the Cradle of Humankind World Heritage Site near Johannesburg, South Africa. Body mass and limb proportions are ecologically and biomechanically important variables in the study of early hominin biology. Increased body size may have enabled hominin individuals to increase their foraging home range, take larger prey, dehydrate less quickly, and carry offspring later into postnatal development. Moreover, increased lower limb length leads to greater energy efficiency in upright walking, and has been proposed as an indicator of the committed use of bipedal locomotion in the fossil record. However, estimating limb lengths from an incomplete and fragmentary fossil record can be problematic, as the adults of most known fossil hominin species are smaller and differently proportioned than the individuals composing the modern human reference samples from which we derive estimation equations. My research on body size and limb proportions thus has two aims: 1) Methodological – to improve the accuracy of variable estimations in fossil hominins by creating and testing new predictive equations using immature human and non-human ape models (which more closely approximate the range of shapes and sizes observed in the fossil record) and developing new landmark-based protocols for bone length estimation. 2) Applied – to reconstruct fossil hominin body masses and limb proportions and investigate the behavioral and ecological ramifications of these measures. In collaboration with Steven Churchill (Duke University), I have established a broad research program to systematically test the accuracy of morphometric methods for body mass estimation when applied to related modern species who more closely approximate small-bodied hominin sizes (i.e. human children, bonobos, and chimpanzees). In the first study of the planned series, we evaluated the prediction error of standard morphometric methods—regression equations derived from mean stature, bi-iliac breadth, and body mass of modern adult humans—when applied to global samples of human children ranging in age from 6-12 years. Results of this study suggest that stature and bi-iliac breadth may reasonably be used to estimate mass in small-bodied hominins. While studies of morphology can inform about the capabilities and activity levels of early humans, they are limited in their ability to inform about ecologically-relevant aspects of organismal biology, such as home range size and ranging behavior across the landscape. Mobility is a key adaptive strategy of modern foraging people, as it allows them to exploit widely dispersed resources while avoiding local bio-resource depletion. Hunting dependence and food resource distribution are central to understanding ranging behavior, with sparse resources and high reliance on hunting increasing potential home range sizes. Across the order Carnivora, home range size increases with metabolic need (and, thus, body size) and with the proportion of meat in the diet, and may vary inversely with the encounter rates of prey. Given increases in brain and body size relative to early hominins, our more recent ancestors (beginning with Homo erectus around 1.5 million year ago) are believed to have had an increased reliance on animal resources. Neandertals, specifically, must have relied heavily on animal protein in the plant food-poor environments of Pleistocene Europe, such that their home range sizes and levels of individual movement were likely largely determined by prey abundance and distribution. 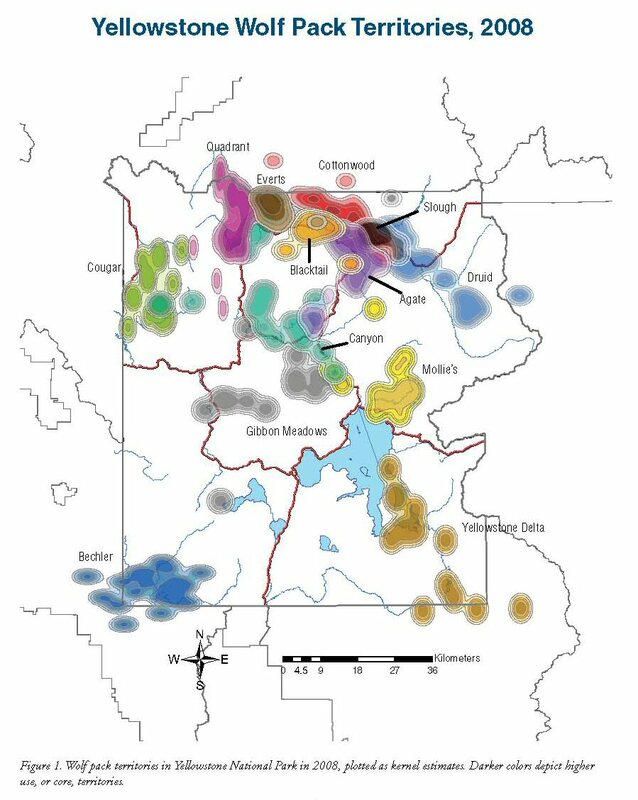 My research on fossil hominin territory sizes and ranging behaviors uses paleoecological data informing prey availability across ancient landscapes and models extinct hominin species as extant carnivorans (such as gray wolves, lions, hyenas, and wild dogs) to estimate home range sizes in a variety of competitive and ecological settings.